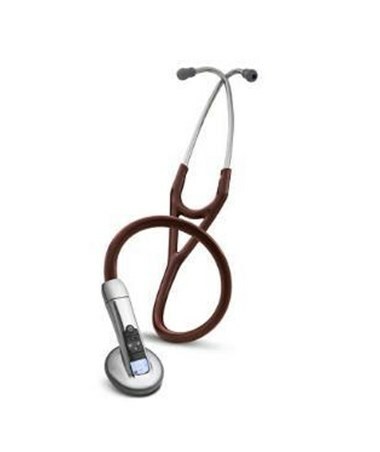 3M Littmann 3200BK27 Bluetooth Electronic Stethoscope, Ambient Noise Reduction 27"
Overview for 3M Littmann 3200BK27 Bluetooth Electronic Stethoscope, Ambient Noise Reduction 27"
The Littmann Model 3200 featuring Bluetooth Technology is the most advanced stethoscope in use today. This stethoscope combines the most sophisticated innovations to take your performance and ease of use to the next level. This stethoscope will allow you to “Hear It, Record It, Send It and Confirm It”. Using proprietary ambient noise reduction technology, an average of 85% of background noises are eliminated without filtering out important body sounds. Harder to hear S3 Gallops, aortic regurgitation, murmurs, and abnormal lung sounds are amplified up to 24 times. This stethoscope allows you to record what you hear which can then be transmitted via Bluetooth with the software provided, either to your PC or to your patient’s medical records. Sounds up to 20 seconds can be recorded and further analyzed by you, your patient, or your colleagues. Using the software provided you can listen to the sounds recorded in slow-motion or repeat them over and over. You can visualize what you are hearing with the option to display and print the sounds as phonocardiogram. The new LCD display shows your current sound level, bell or diaphragm mode, remaining battery life and your patient's heart rate. The heart rate appears on the display after just 5 seconds, then updates every two seconds. Your stethoscope will be ready for use with customized start up settings as soon as you turn it on. This cardiology-grade high performance electronic stethoscope is surprisingly lightweight and comfortable for use and operation. The traditional lumen are comfortable around the neck and can be folded easily to fit into a pocket. Traditional push on ear tips are supplied in small and large sizes. The diaphragm is non chill for patient comfort during examination. The Littmann Electronic Stethoscope comes with the ï¬nest service and warranty policy in the industry. This model is warranted against any defects in material and manufacture for a period of two years. If a material or manufacturing defect is discovered during the warranty period, repairs or replacement will be made without charge upon the return of the instrument to 3M. 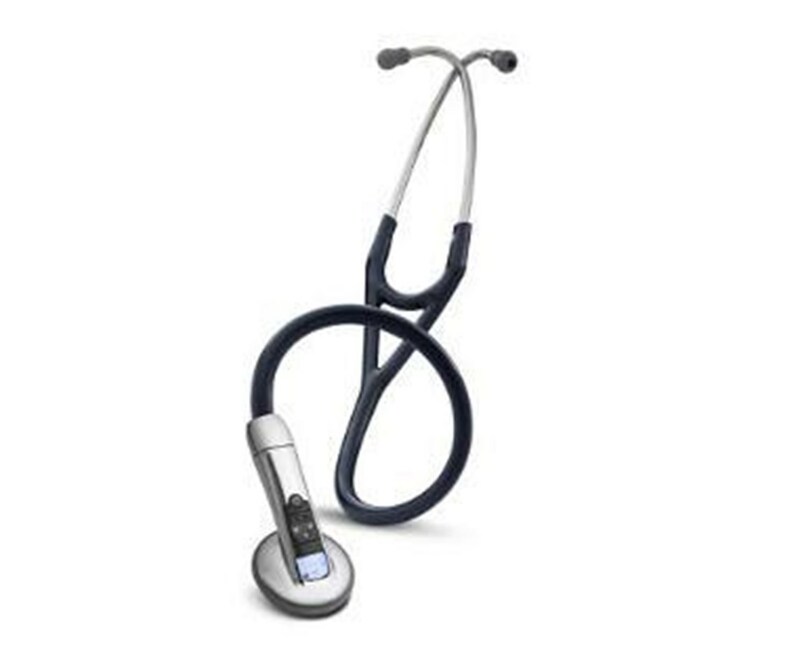 Features for 3M Littmann 3200BK27 Bluetooth Electronic Stethoscope, Ambient Noise Reduction 27"
On-board recording, 12 track recording capabilities. Bluetooth® and sound analysis software allows you to attach sounds to medical records or review them online with colleagues by transmitting the sounds utilizing Bluetooth® technology software included FREE with purchase. Zargis StethAssist software is available in English, French, German, Italian, Spanish, Dutch, Swedish, Danish, Norwegian, Finnish, Portuguese and Chinese. The software is compatible for use with Windows XP and Windows Vista. Visualize your patient’s heart sounds as a phonocardiogram. Easy to operate, backlit LCD display includes frequency selection, sound level, remaining battery life, and patient’s heart rate. Provides extra listening power for the harder to hear heart, lung or body sounds with frictional noise reduction technology. Ability to move into “extended range” mode, which allows you to hear a larger variety of sound frequencies. Comfortable and lightweight just like your non-electronic stethoscope. Can be used on adults, infants and children. Auto-on feature, no wait in between auscultations. Easy to use volume control allows you to increase or decrease the sound to aid examination. Rugged and reliably designed to withstand accidental drops and impacts. Specifications for 3M Littmann 3200BK27 Bluetooth Electronic Stethoscope, Ambient Noise Reduction 27"
Return Policy for 3M Littmann 3200BK27 Bluetooth Electronic Stethoscope, Ambient Noise Reduction 27"